A few recent purchases that merit a photo. 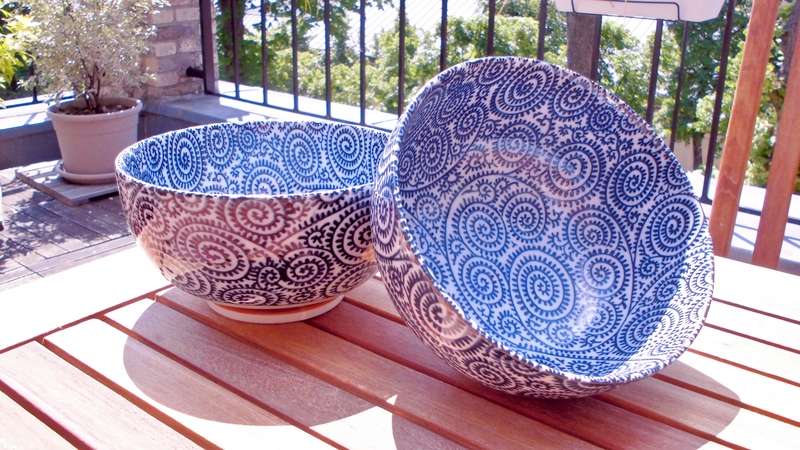 These beautifully patterned bowls were picked up in Paris from “Chinaco” in the 13th arrondissement on Rue Tolbiac. Made in Japan and costing only 5 euros each I just couldn’t resist. I am mesmerised by the intricacy of the pattern and I love the blue and white colours. I have always had a penchant for patterned items and my collection is certainly growing! I would like to replicate a version of this pattern hand painted onto plain wooden beads, I will need a steady hand (and much practice)! 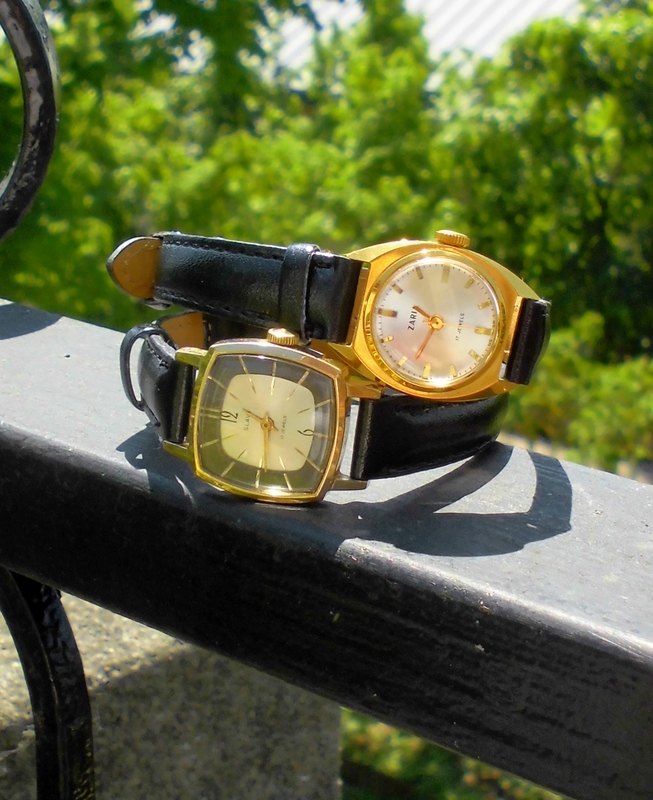 I love retro watches and just can’t bring myself to buy a modern one. My favourite is the black and white as I love the two toned face, the square shape and the glitter of the number notches, it is something quite special! I may keep this one for best, dressed with my 50’s crew neck a-line black dress and my retro doctor’s handbag I think it will certainly turn heads. 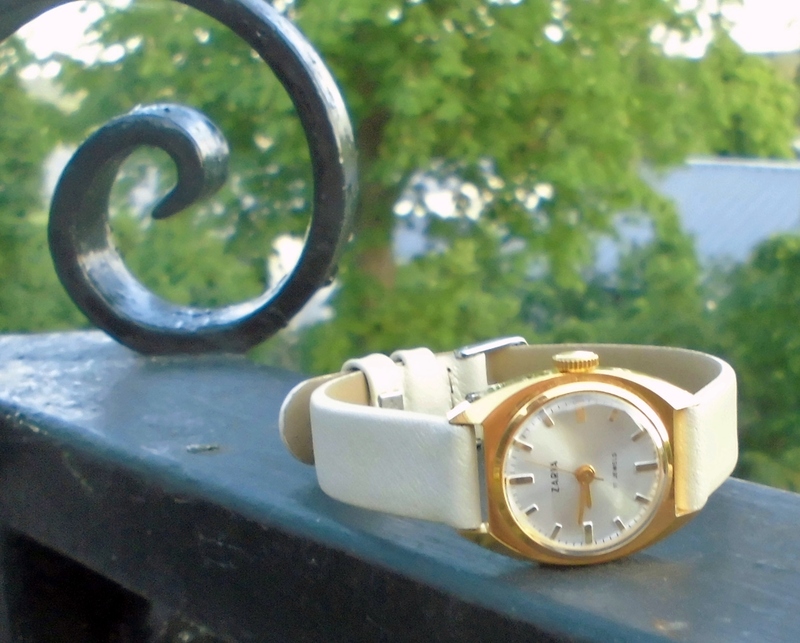 I was lucky to find a new cream leather strap at a local brocante today (4 euros!) and as you can see from the second photo it totally transforms the over all look of the gold watch. I am currently working on a 60’s inspired lace knitted dress so the retro theme is certainly in full swing chez Atelier Boyceau. Feeling inspired to add something special to my handbags I came across several images of beaded beads. After more research I discovered the peyote stitch and a few failed attempts later I think I can safely say I have harnessed a new skill. How satisfying to see the plain wooden beads transformed into beautiful sparkly jewels that could easily adorn a bag strap or simply make a great necklace. I’m off to continue my bead adventure armed with acrylic paint, fabric and newspaper. Good job I have the place to myself this week! 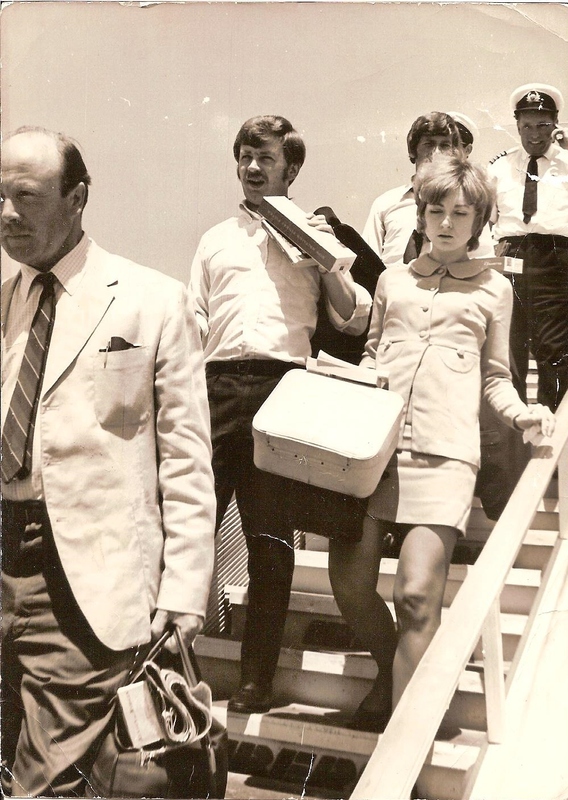 Another one of the parents coming back from holiday, look at the amazing mini dress! 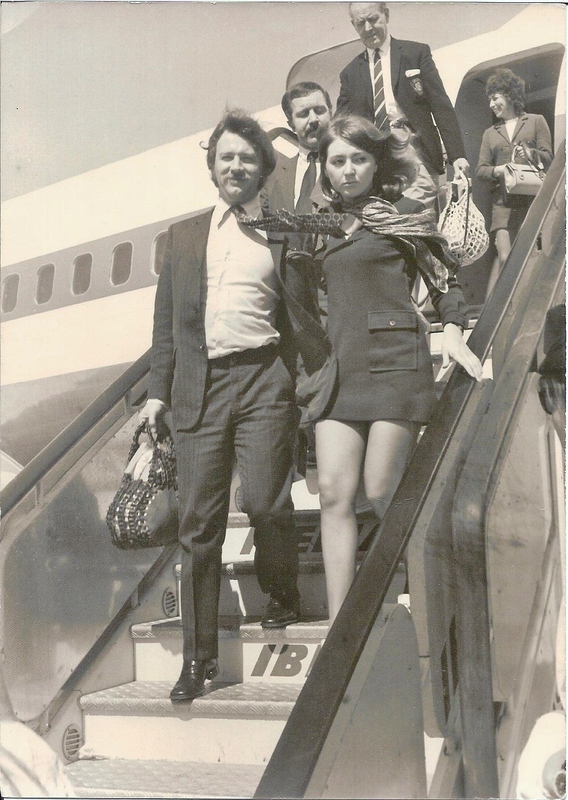 Looking back through my parents’ old photos I am utterly fascinated by the fashions of the time, definitely would like to add a touch of retro to my own designs.